Which Bathroom Exhaust Fan Is Right For You? [et_pb_section fb_built=”1″ _builder_version=”3.0.105″ custom_padding=”0|0px|0|0px|false|false”][et_pb_row custom_padding=”0|0px|11px|0px|false|false” _builder_version=”3.0.105″][et_pb_column type=”4_4″ _builder_version=”3.0.105″ parallax=”off” parallax_method=”on”][et_pb_text _builder_version=”3.4.1″ text_font=”Lato||||||||” text_text_color=”#383838″ text_font_size=”17px” custom_margin=”1px|2px|1px|1px” custom_padding=”1px|2px|3px|4px”]Every homeowner needs to install a bathroom exhaust fan which is a component of a healthy and hygienic bathroom. It is a unique way of preserving the bathroom from problems associated with excess moisture. It is true that hot shower has a wonderful effect on your body, but that is not the same in the bathroom, where you have that fantastic shower. If your bathroom is not well ventilated, there is the danger that excess humidity that accumulates can cause damages to the bathroom wall. It could peel wallpaper, crack bathroom paints, as well as warp cabinetry. The worst is that as these build up continuously, it produces mold and other bacteria, which can even affect your indoor air quality. The best way out of the problem is to install a bathroom fan if the bathroom suffers from a ventilation problem. 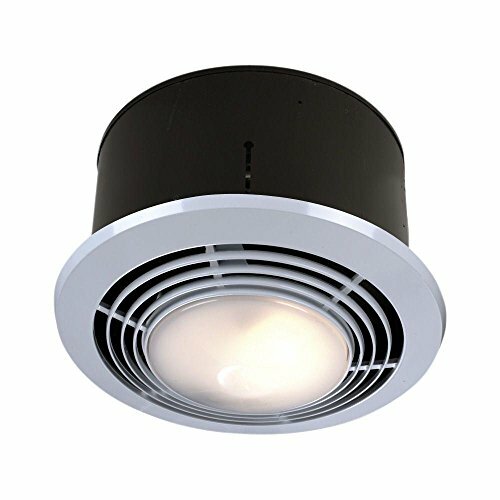 You have to select the best bathroom exhaust fan from the various models available on the market. Our experts make it easy by picking the top bathroom fan. Perhaps the second most important factor in choosing the right bathroom exhaust fan for your home is the noise factor. Fans consist of motor and you can’t find a motor that doesn’t produce noise. Even if you cannot get absolute quiet fans, you can opt for those with the least noise. The bathroom fans can at times be very loud. This is often due to the fan being too powerful (If CFM of the fan is too high but space is too small compare to the CFM rating ). So you have to be careful about selecting a bathroom fan with perfect CFM. The bathroom should be a tranquil and relaxing space, but when the sound of a jet engine is going above your head relaxing can be difficult at best. Bathroom exhaust fans are rated in audio units called sones. This ranges from 0.5 to 6.0. To give you an idea of how sones have perceived the hum of a home kitchen refrigerator is about one sone. Sones are calculated exponentially so 2 sones are double the sound of one and three are three times the sound of one, etc. The lower the sone score, the quieter and better the fan will be. Lower sone rated fans can be more expensive, but if low noise is important to you it may be worth it. This formula will help ensure that you there is an adequate movement of air in and out of the space to remove excess moisture/steam as well as odors. 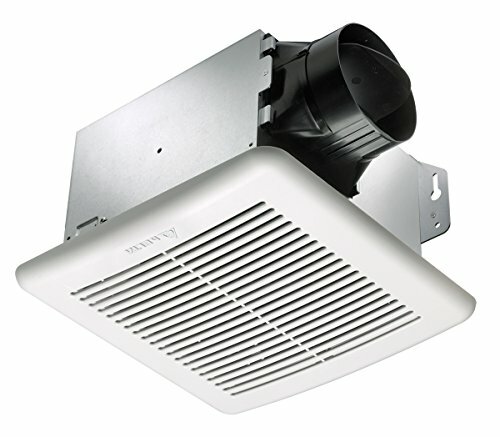 Most bathroom fans use what is called EDV or exterior ducted ventilation. This means that the ductwork that leads from the ventilation fan vents to the outside, usually through a louvered wall outlet on the exterior wall of the home. Some older fans will use what is called AOV or attic outlet ventilation. This means that the fan vents to an outlet in the attic. This is more common in warmer climates where automatic attic fans are installed in most homes. 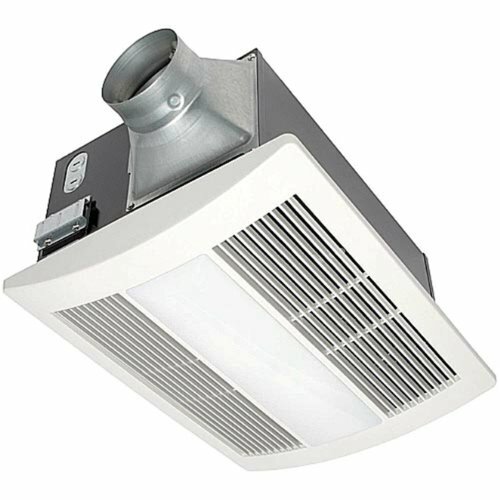 The vast majority of fans on the market today use EDV and as such have a duct connector which connects to 3”, 4”, or 6” ventilation ducting in your bathroom’s ceiling. Some very rare units today may use a method called self-ventilating. It is always profitable to purchase an appliance that is certified by Energy Star. All major appliances sold in the United States and Canada in the past 20 years must by law have an energy star rating label located on the body of the appliance as well as the exterior carton it comes in when you buy it. This rating is also located on the install/owners manual. To be rated as energy star compliant the fan must have a Home Ventilating Institute (HVI) approval. Energy Star and HVI certified bathroom fans normally function with 60-70% less energy as compared to comparable standard ventilator fans. What this means to you is that you will see energy savings over older units, especially if those units were manufactured and installed prior to the early 1990s. Choosing the right fan size for your space is more than just choosing the one that has the right CFM for your needs. You have to also think about the actual fan unit itself in terms of its size. If you are replacing an existing unit, then you will need to find a unit that matches the dimensions of the cutout that you have in your ceiling, otherwise, you will have to do some possibly expensive re-cutting. The good news is that most fans fit a standard sizing system these days. One thing that you do need to keep in mind, however, is the depth of the space that you are installing in. Today’s fans can at times be a touch taller than older units, and you need to make sure that you have the needed depth in your ceiling to accommodate it. While on the subject of ceiling space, you should also make sure that you have adequate attic access for the installation of your fan. If you do not have attic access or limited attic access (or if you are installing in a ground or basement floor space) then you must purchase a unit that is able to be installed in what is called “from below” or “drop up”. When checking your dimensions keep in mind that you will need to know two sets of measurements. The measurements of the unit itself, and the measurement of the outer visible shell, grate, or grill. 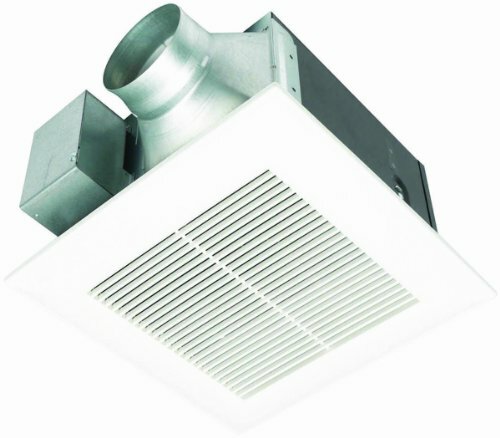 Today’s bathroom exhaust fans are significantly more durable and last a lot longer than older units with little to no loss of efficiency over the years of trouble-free use that you will enjoy. This is due to advanced materials and construction techniques such as double welded joints and seams, the use of rust-resistant galvanized steel and motors that are brushless and permanently lubricated. Of course, higher end units will have better construction than those on the more economy end of the scale, but make no mistake, even the builder grade bathroom units on the market these days are extremely durable and will perform admirably for many years. Many fans and fan/light units will have a convenience heater built in. This is designed to augment your regular bathroom heater for quick comfort heating when using the toilet or other tasks. Many people think that the built-in heater in a bathroom fan is intended to warm the entire space for a duration of time, and while some units may be capable of doing this, that is not the intended function. If there is a convenience heating function you may have to have a third wall switch installed to control it or you may have a small activator function on the side of the unit. Some units with a heater function have an automatic sensor that turns the heater on every time the fan is activated if the room temperature is below a set comfort point that you can select. Some higher end units, especially those intended for use in shower spaces may use infrared bulbs for heating. Most units these days use, compact fluorescent light tubes or on higher end units LED lighting. Many units have the option of using a motion sensor to activate the main light, or the night light if equipped. If you are replacing an older unit with one that has one of the new lighting systems in place, then you will no doubt notice a higher quality of light and a much lower energy bill. Nightlight functions vary from unit to unit, but most of them feature either a 4w nightlight bulb or an ultra soft LED light in either green or blue so as to not to disrupt the natural sleep cycle of our bodies when needing to use the facilities in the middle of the night. Most of the time these night lights are fan activated, but they can be set to motion activated if the unit is equipped with a motion sensor, or they may have a photo sensor that activates the night light automatically any time the main light is turned off. Warranty is another excellent feature to look into when you are making your choice. Warranty determines the confidence level, which manufacturers have on their fans. It is better to look for those with extended warranty, they will be more durable and of superior quality. A warranty card will help you have value for your money. This combination fan has multiple settings: It can be used to direct air out of the bathroom, thereby cutting down on harmful humidity; or a second fan can be enlisted to heat the room. The light and night-light functions are also run on separate controls. Customers praise the quality and overall functionality of the WhisperWarm unit, claiming that it runs quietly and efficiently compared to some exhaust fans. Of course, it should be noted that this is more than a simple exhaust fan—if you select this model, you won’t need to invest in light fixtures or a separate heating unit. Some testers pointed out that the heater requires at least a 20-amp circuit to sufficiently warm the room. Be aware that if the heater and the exhaust fan are both running at the same time, some of the warm air will be pulled out of the room. This will help keep the area free of steam, but the room won’t feel as warm as when the heat is running without the fan. The versatility of this model makes it appealing to customers who want a fan for the bathroom and a heating unit to keep the space warm in the winter; however, it does have its drawbacks. The instructions are difficult to follow, and the website isn’t much better. Those who don’t have much experience with fan installation should either seek the aid of a professional or check out another model before purchasing. It’s also more expensive than some comparable items—if you’re already happy with the lighting and heating fixtures in your bathroom, then this probably isn’t the best choice for you either. Like its Panasonic counterpart, this is a ventilation system that also features a heating unit, along with a light fixture. All of the functions are run using separate controls. Note that the unit can’t be hung from a suspended ceiling. The night-light runs around the clock, thereby eliminating the need to fumble for the switch in the middle of the night. Testers are generally enthusiastic about this NuTone offering. They point specifically to the convenience of an all-in-one unit, the efficiency of the incandescent light (neither too bright nor too dim), and how preferable it is to have a blowing heater versus a heat lamp. The most prevalent complaints had to do with parts that either broke down too frequently or were difficult to replace. Some also complained that this unit is far louder than some of its closest competitors, but others countered that argument by pointing out that the fan earns the right to the noise because it’s also more powerful than the others. If you think you would appreciate the benefits offered by this model (the 24/7 night-light might not appeal to everyone), it’s definitely worth a look. To guard against the possibility of having to invest in a replacement part soon after purchase, look for a retailer that offers a decent warranty along with the purchase. [/et_pb_code][et_pb_text _builder_version=”3.0.105″ text_font=”Lato||||||||” text_text_color=”#666666″ text_font_size=”17px” text_font_size_phone=”15px” text_font_size_last_edited=”on|phone” header_font=”||||||||”]As the name suggests, this model is the most environmentally friendly on this list. At just 0.8 sones, it’s also whisper-quiet—so quiet, in fact, that there’s an indicator light included to show you when the unit is actually running. Otherwise, you might not even be able to tell whether it’s on or not—although most testers point out that this isn’t an entirely accurate claim, as all fans produce some degree of noise. There’s also an adjustable humidity sensor, which contributes to the “green” factor. In general, consumers have been pleased with this model. It’s quiet and efficient, and offers good value for the price. If you have a small to moderate-sized bathroom, this fan is worth considering, as its size and low noise level won’t overpower the smaller space. Testers who installed the unit themselves reported some issues with the wiring and casing, but that problem can be sidestepped by hiring a professional. If you opt for the model that comes equipped with LED lighting, be aware that this type of light takes a few seconds to turn on. Some testers were worried whether the unit could be installed above a shower, but as long as it’s running on a ground-fault circuit interrupted (GFCI) protected circuit, it’s perfectly safe to do so. It should also be noted that the sensor takes a while to work itself up to speed, so to speak, as it checks the surrounding area for restrictions. Also, most home exhaust fans run on 3″ ducting, but the Delta Breez requires 4″, meaning that you may need to use an adapter. If this is the case, the fan won’t run as quietly as advertised. This could negate some—but not all—of its positive benefits. If your home is equipped with a 3″ duct, consider all the options carefully before deciding on the Delta Breez. The WhisperCeiling offers a faster speed than most of the items on our list, at 110 CFM. As the name implies, it’s also very quiet, with a 0.3 sone rating. Like the GreenBuilder from Delta Breeze, it runs on 4″ exhaust pipes. This unit is big enough to function well in large spaces (probably up to 800 square feet); however, due to its low noise level, it also won’t overpower a smaller bathroom. When installed on a GFCI circuit, the WhisperCeiling can be safely used in a bathtub or shower enclosure. As is the case with most models on our list, the majority of complaints related to installation difficulties. Specifically, the unit is easier to install when the home is newly constructed—finished ceilings make the job more difficult.If you intend to install the exhaust fan yourself, read the instructions carefully and contact the manufacturer for extra help, if necessary. Otherwise, testers were all but unanimous in their praise for the WhisperCeiling. Most reported especially good results when the unit was connected to a timer, which could certainly come in handy if you tend to leave the house immediately after using the bathroom. Unlike the NuTone offering or Panasonic’s own WhisperWarm system, this model doesn’t come equipped with a light fixture or heating unit—it’s strictly an exhaust fan. Given that the WhisperCeiling is mainly geared toward newly constructed homes, this won’t be the perfect bathroom fan if you were hoping to cover all the bases with one unit. The price tag is correspondingly lower, though, which might appeal to the more budget-conscious. One last important point: The exhaust flaps can make a good deal of noise in windy conditions. This can be alleviated with the purchase of additional parts, such as foam coverings, to muffle the sounds. The Ventline is the most diminuitive offering on our list at just seven inches, circulating a maximum of 50 cubic feet per minute. If your bathroom is on the smaller end of the spectrum—as in, closet-sized—then this is a good option to consider. Be aware, however, that it doesn’t run as quietly as you might expect from such a small unit. Testers report that while it is efficient and by no means loud, the sound it makes is noticeable nonetheless. It’s worth noting that while installation problems are usually the most widely reported issues when it comes to exhaust fans, consumers have been generally pleased at how easy it is to get the Ventline up and running. Even those who have never attempted such a home improvement project before were able to install the fan without much trouble. The only exceptions to this rule arose when a sampling of testers found that there were minor parts missing from the packaging. This issue was easily resolved in most cases, but it represents a good deal of wasted time. Pay close attention to the return policy if you decide to purchase the Ventline, particularly if you go through an online retailer. This will be an ideal bathroom fan for homeowners who are looking to replace an older fan, particularly if the home is more than 20 years old. The fan you’re replacing will likely be a bit larger, but that shouldn’t affect the operation and efficiency of this model. While the Ventline is geared primarily toward bathroom use, and will work well as a fan of this type, it can be used in any room of the house that needs additional ventilation. They simply do not build them as they used to and that was something that Broan wanted to address and change. It was with this model that they really stood out from the rest of the competition and soon was a leader in the world of exhaust fans for the bathroom. From the beginning, one of the things you will notice is the fact that the light on this model is a lot brighter than on many of the competitions models. With the blades being galvanized the fan can take on a lot more moisture than other models on the market. This is a model that is rated to be able to be mounted above the shower as the unit has a lot of parts that are encased in a sturdy case and comes with a five-year warranty on all of the parts of the unit. In addition to the sturdy construction, it also is equipped with a light that will be just enough light to provide a soft glow if you have to use the bathroom in the middle of the night. Many people will say that this is the best model to install especially if you have a smaller bathroom. This is without a doubt one of the best models that the company has put out in a long time and it is easy to see why more people are installing these in a new home or are using this model as a replacement for a model that went out. Users of this exhaust fan will be drawn to the fact that it has a built in thermostat that helps to provide better temperature control. Alongside the amazing performance that you can expect from this fan, you have the fact that it comes with a built-in heater that will keep you warm on those cold winter nights. This is the last model to review and yet it is one of the best on the market. There are a lot of models that will come close to the level of quality as this model, but in the end, it will be in a class all by itself. For the average person that has never had any sort of contact with this model, it is one of the best models that Panasonic has put out over the last few years. This will be the best model for you to put in your bathroom when you need to replace the current one you have installed. When you have a model that offers you a fan, a heater, and a nightlight, then you are looking at a model that delivers it all for a fraction of the power that you might expect other models to require. Along with all of these amazing features, the fact that this offers a super quiet motor as well as durable construction that helps to keep it from rusting and wearing out long before it really should. [/et_pb_text][/et_pb_column][/et_pb_row][et_pb_row custom_width_px=”1182px” custom_padding=”16px|0px|0px|0px” _builder_version=”3.0.89″ background_color=”#ffffff” module_alignment=”center”][et_pb_column type=”4_4″ _builder_version=”3.0.47″ parallax=”off” parallax_method=”on”][et_pb_button button_url=”https://amzn.to/2OD94s7″ url_new_window=”on” button_text=”Buy Bathroom Fan From Amazon” button_alignment=”center” _builder_version=”3.17.6″ custom_button=”on” button_text_size=”29px” button_text_color=”#ffffff” button_bg_color=”#e02b20″ button_border_radius=”31px” button_letter_spacing=”2px” button_font=”Alice|700|||||||” button_text_size_phone=”11px” button_text_size_last_edited=”on|phone” background_layout=”dark” animation_style=”zoom” button_text_color_hover=”#000000″ button_border_radius_hover=”27px” button_bg_color_hover=”#e8e8e8″ button_text_size__hover_enabled=”off” button_one_text_size__hover_enabled=”off” button_two_text_size__hover_enabled=”off” button_text_color__hover_enabled=”on” button_text_color__hover=”#000000″ button_one_text_color__hover_enabled=”off” button_two_text_color__hover_enabled=”off” button_border_width__hover_enabled=”off” button_one_border_width__hover_enabled=”off” button_two_border_width__hover_enabled=”off” button_border_color__hover_enabled=”off” button_one_border_color__hover_enabled=”off” button_two_border_color__hover_enabled=”off” button_border_radius__hover_enabled=”on” button_border_radius__hover=”27px” button_one_border_radius__hover_enabled=”off” button_two_border_radius__hover_enabled=”off” button_letter_spacing__hover_enabled=”off” button_one_letter_spacing__hover_enabled=”off” button_two_letter_spacing__hover_enabled=”off” button_bg_color__hover_enabled=”on” button_bg_color__hover=”#e8e8e8″ button_one_bg_color__hover_enabled=”off” button_two_bg_color__hover_enabled=”off”][/et_pb_button][/et_pb_column][/et_pb_row][/et_pb_section][et_pb_section fb_built=”1″ _builder_version=”3.0.105″ custom_padding=”1px|0px|11px|0px|false|false”][et_pb_row custom_padding=”18.9453px|0px|0px|0px” _builder_version=”3.0.105″][et_pb_column type=”4_4″ _builder_version=”3.0.105″ parallax=”off” parallax_method=”on”][et_pb_text _builder_version=”3.0.89″ text_font=”Lato||||||||” text_text_color=”#383838″ text_font_size=”17px” custom_margin=”1px|2px|1px|1px” custom_padding=”1px|2px|3px|4px”]There is no doubt that everybody deserves to own the best bathroom exhaust fan. We have seen that most of the difficulties people encounter in purchasing one have been dealt with here. This means that if you follow the information provided here that you are going to get the best fan for bathroom suitable for you. Most importantly, the best of such fans are introduced for you here. If you are interested in getting the best, you can always make your choice out of the various brands reviewed for you here. These are superior quality products, and they contain almost all the features and qualities you want from a supreme quality bathroom fan.